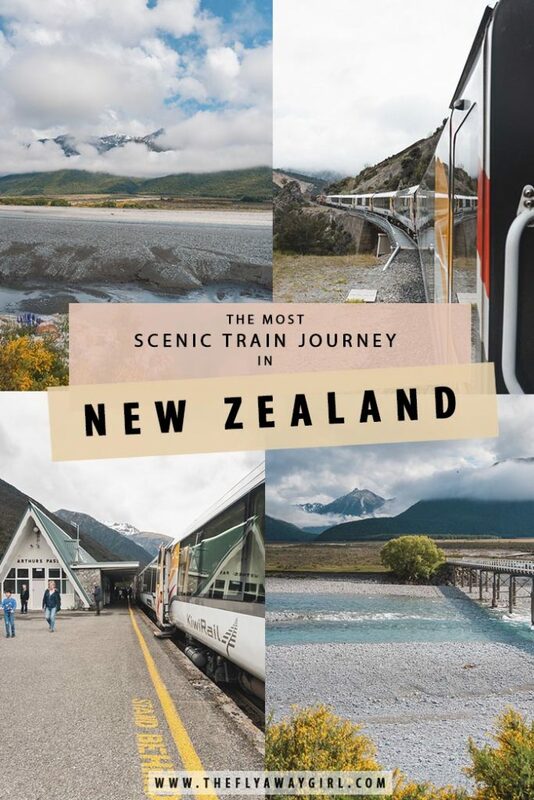 New Zealand is an amazing country to travel and the TranzAlpine train journey from Christchurch to Greymouth is possibly the most scenic train route in the country. Referred to as one of the most ‘astonishing train journeys in the world’ by Culture Trip and one of the ‘world’s most scenic train rides’ by Fodors Travel, a journey on the TranzAlpine train will not be something you forget soon! 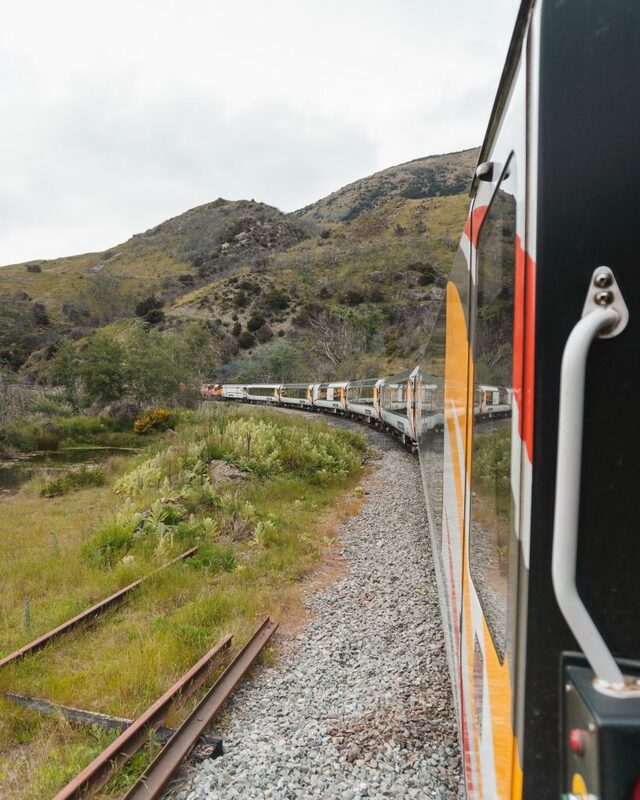 Read on to find out all the information you need to know about the TranzAlpine train journey! 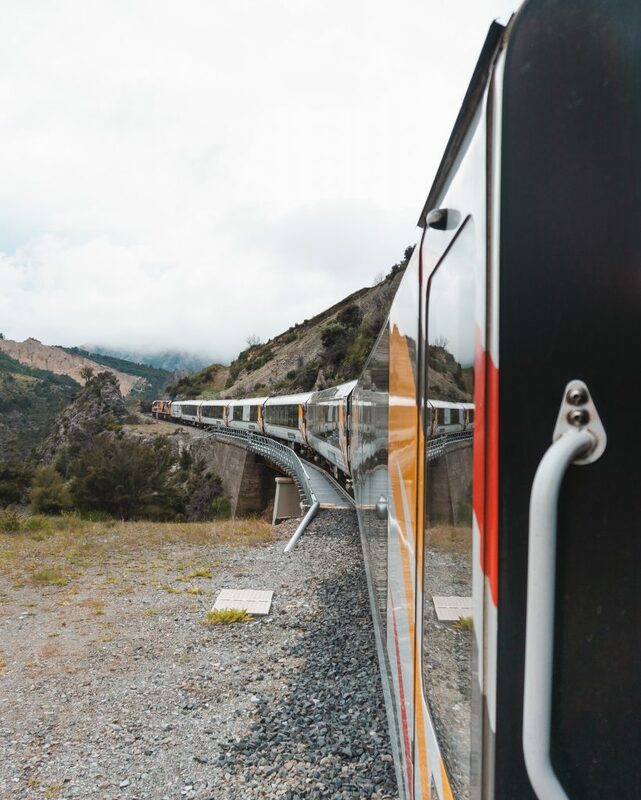 The TranzAlpine railway is a 223km (139 miles) journey that runs from Christchurch, on the east coast of the South Island, to Greymouth (on the west coast) and takes just under five hours one-way. The train departs Christchurch at 08:15 and arrives in Greymouth at 13:05 and the return journey leaves Greymouth at 14:05 and arrives Christchurch at 18:31. The fare is the same from Greymouth to Christchurch, whether purchased as a separate one-way trip or a return journey. Flexi Pass: 50% refundable, plus one free date change and unlimited stopovers can be booked. Flexi Plus: Fully refundable, fully flexible and unlimited free stopovers can be booked. For no extra cost, with all ticket types, you can add stopovers on the way. For example, you can add an overnight stop in Arthur’s Pass and continue on to Greymouth the next day. Kiwi Rail also sometimes offers slightly reduced Flexi Pass tickets for $179. If you’re searching from a New Zealand IP address, there are occasionally saver fares from only $99 one-way (don’t ask why they’re only available when searching from an NZ IP!!). 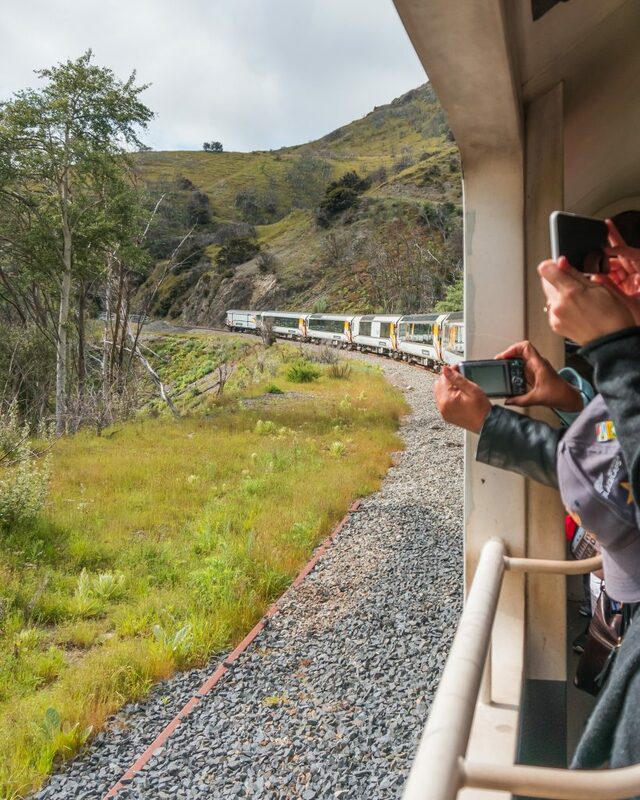 The main places to disembark the train to explore are Springfield, Arthur’s Pass and Moana. Springfield is a great base for exploring the Canterbury Plains and Torlesse Mountains – activities include horse-riding, cycling and hiking. 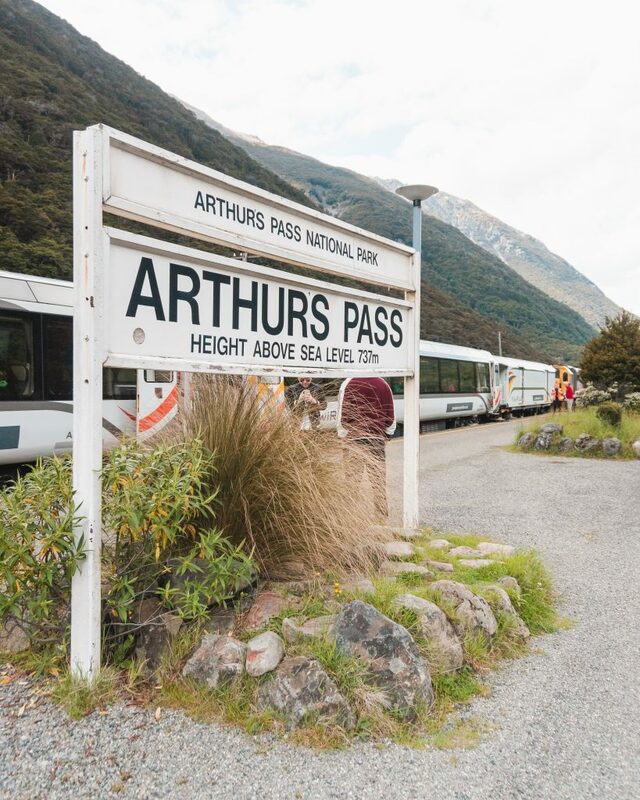 Arthur’s Pass is one of the main places to disembark in order to explore the Southern Alps. Arthur’s Pass is popular for mountain climbing, hiking and – in winter – skiing and snowboarding. 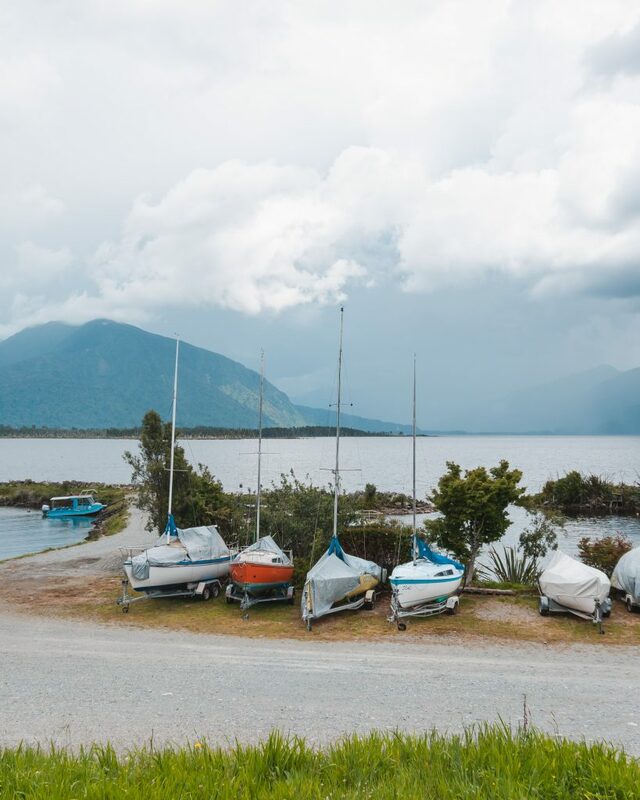 Moana is the perfect place to disembark the train to explore beautiful Lake Brunner and the Arnold River Valley. There are a few important things to be aware of before you hop on the train! There is no ATM at the station in Christchurch. I had run out of cash the day before and planned to get some out when I got to the station in the morning. Annoyingly, there was no ATM at the station for me to use! Just be aware to withdraw money before you get to the station, as you won’t have the opportunity until you get to Greymouth and go into the town. There is no WiFi at the station or on the train. Maybe it’s because I’m used to train travel in the UK and Germany, but I’m used to having WiFi at stations or on the train, particularly when it’s a long journey. I can understand not having WiFi on the train (since you won’t have signal most of the journey due to going through the mountains), but it was a pain not to have WiFi at the stations either. #firstworldproblems, I know. There is no signal for most of the journey. As I mentioned above, you will have absolutely no signal for the majority of the journey. From Christchurch, you will have a signal for around half an hour before losing it just as you start to cross the Canterbury Plains. There will be no signal from then until you arrive at Arthur’s Pass (2h35 later). The network will then disappear again as you travel through Otira Tunnel, and then reappear at the station of Moana. You will then get signal again as you approach Greymouth. If you have any important emails to read or plan on scrolling through social media, think again! The scenery should be a good enough distraction for the lack of signal anyway! You should bring cash for buying food and drinks on the train. While yes, you can pay by card, it’s easier to have some cash to buy items at the cafe. Since the machines rely on a signal to process card payments (especially by international card providers, I believe), they are offline for the majority of the journey. If you don’t have cash, you will still be able to purchase items and they will run a tab for you and take note of your seat number – they will then come and find you when you are approaching the final station (or wherever you will be disembarking) to pay. I know that you can run a tab if you are disembarking at Christchurch or Greymouth, but I’m not sure about other stations (since not all of them have signal). Either way, it is much easier if you bring cash to pay for items you want to buy! Arrive 20 minutes before the train is scheduled to leave the station. KiwiRail recommends arriving 20 minutes before the scheduled departure time. They will not wait for anyone who is late, so it’s better to be early than miss the train! The station in Greymouth is practically in the centre of the town, which makes exploring Greymouth and then getting on the train really simple. If you decide to head to Monteith’s Brewery in Greymouth (which I’ll mention more about later), you should be aware that it’s about a 15-minute walk from the station. If you’re doing the TranzAlpine day trip, make sure to give yourself sufficient time to walk to and from the brewery! The station in Christchurch is a little further out of the centre and is located in the suburb of Addington. It’s around a 35-50 minute walk from the centre of Christchurch, or a 5-10 minute taxi or Uber journey. Make sure to factor in the time to get to the station in the morning! 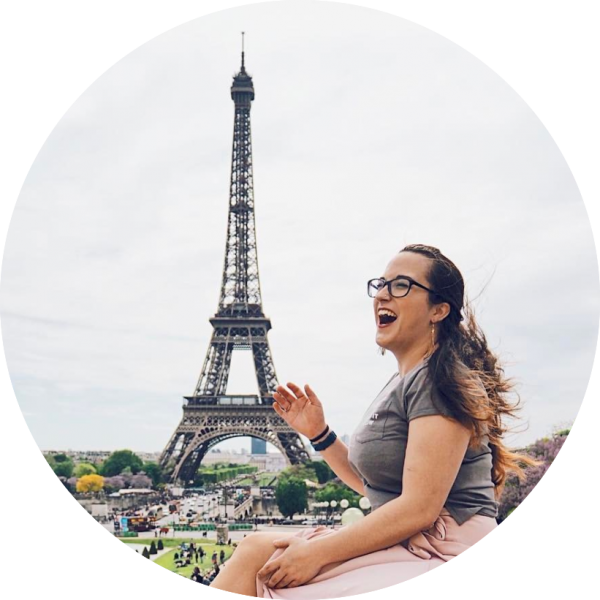 I decided to take an Uber rather than walk for 40 minutes from my hostel – it cost me just under $13 from my hostel to the station. The first stretch of the journey going from Christchurch to Greymouth is fairly unexciting, in my personal opinion. This is the time to get comfy, maybe grab a coffee or some breakfast if you didn’t eat already and make sure your camera is ready to go! You’ll leave Christchurch and make three stops at Rolleston, Darfield and Springfield. After Springfield, this is where the journey starts to get really scenic! After departing the station of Springfield, the railway heads north-east to join the Waimakariri Gorge. You’ll see the river appear and disappear from sight as the train climbs the cliffs above it. Along this spectacular part of the route, you will go through 15 short tunnels and cross 4 viaducts, including the dramatic 72-metre high Staircase Viaduct from which you can see the aqua-blue river far below. Fun fact: Christchurch Cathedral could easily fit under Staircase Viaduct over the river below! This viaduct is the highest structure on the line. After you pass through the old station of Cass (the train doesn’t stop) with its pink painted station building, you’ll continue towards Craigieburn and Sugarloaf Scenic Reserve. At the end of Craigieburn Straight you are rewarded with stunning views of Mount Binser and the edge of Arthur’s Pass National Park. The train then crosses the Waimakariri River over the Waimakariri Bridge and heads for Arthur’s Pass. It is particularly scenic around 10:05-10:15 after crossing the river and before reaching Arthur’s Pass (time if you’re running to schedule!). Either way, you should definitely head to the observation car for this stretch! You will arrive at Arthur’s Pass at around 10:51. The views from the station are pretty darn impressive – imposing mountains rise up from behind the train as it waits for people to embark and disembark. Longer walks include Avalanche Peak (6-8 hours return) and Mt Aicken, Mt Bealey and Mt Cassidy (6-8 hours return, experienced hikers only). Other things to do in Arthur’s Pass include fishing in Lake Pearson, hunting, mountain biking and mountaineering. For more information about climbing/mountaineering, Arthur’s Pass NZ has lots of useful info! Temple Basin is a great ski field for those who are adventurous skiers, particularly for off-piste and freestyle. 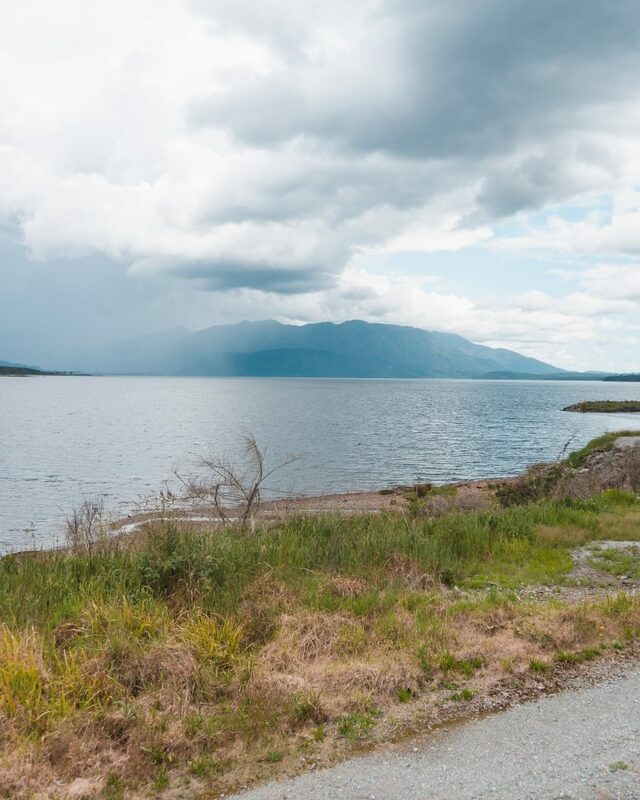 You can go mountain biking in a variety of places – advanced mountain bikers can go to Poulter Valley Track and for an easy route, you can ride the Mt White Road along tussock lands and the Waimakariri River. Arthur’s Pass Village is where you’ll find a lot of the hostels and campsites as well as stores and cafes. The village is also home to a Visitors Centre, post office and a chapel. I was only doing the TranzAlpine day trip (Christchurch to Greymouth and back in a day) so I only got to hop off the train for 5-10 minutes to stretch my legs! Straight after leaving Arthur’s Pass station, the train enters Otira Tunnel. The tunnel is 8.5km long with a gradient of 1 in 33, meaning that for every 33m travelled, the gradient declines 1m. 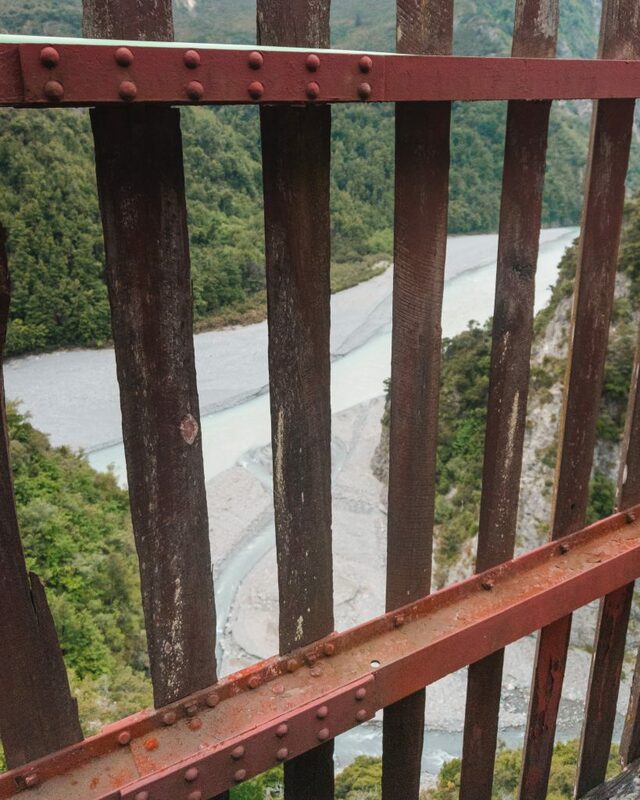 By the time the train leaves the tunnel on the Otira side, the track is 250m lower than when it left Arthur’s Pass. When it was constructed the tunnel was the longest in the entire southern hemisphere! 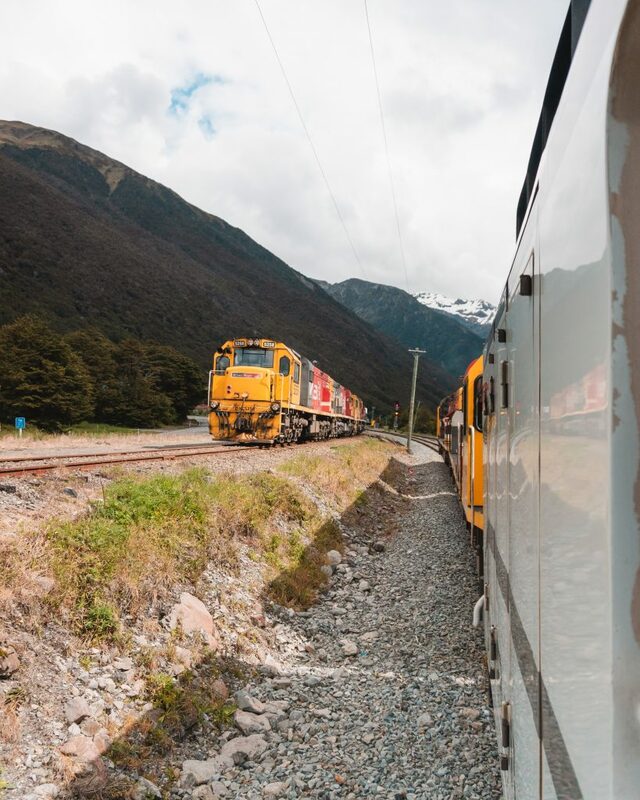 When the train appears from the far side of Otira Tunnel, you are rewarded with spectacular mountains views! 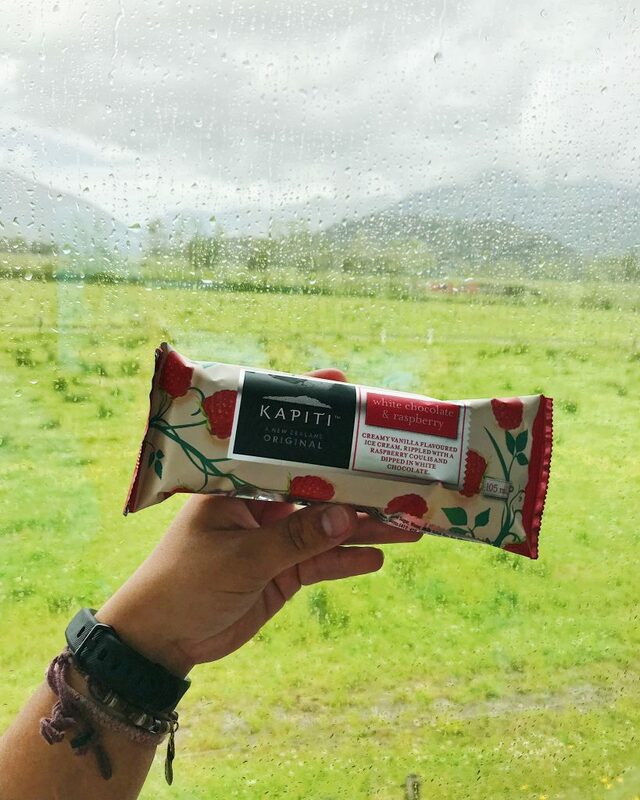 The train continues through the Otira Valley, with lush green scenery and a series of river valleys. The railway loops back on itself at Inchbonnie to head towards Moana and beautiful Lake Brunner. The small fishing town of Moana is located on the banks of Lake Brunner. Moana is the perfect spot to disembark for a few hours to relax before the train returns to go back to Christchurch. The train arrives in Moana at 12:05 and returns to Moana in the direction of Christchurch at 15:02. The observation car on the train provides amazing views of Lake Brunner as well as the Brunner Mine historic area. The train arrives in Greymouth at 13:05. I’m not going to lie – Greymouth isn’t the most interesting town in New Zealand. However, if you only have one hour there then I’d recommend visiting Monteith’s Brewery while you are there. Greymouth was much sunnier than Christchurch! I left Christchurch and it was raining and I arrived in Greymouth to beautiful sun. I first went to the ATM to get cash out for the return journey and then walked up to the brewery. The brewery is located almost at the other end of the town from the station and is about a 10-15 minute walk, depending on how quickly you walk! You can also get a taxi (1-minute drive) for around $8-10. The brewery offers tasting trays of their beers and ciders, just check the boards above the bar to see what’s on tap the day you visit. 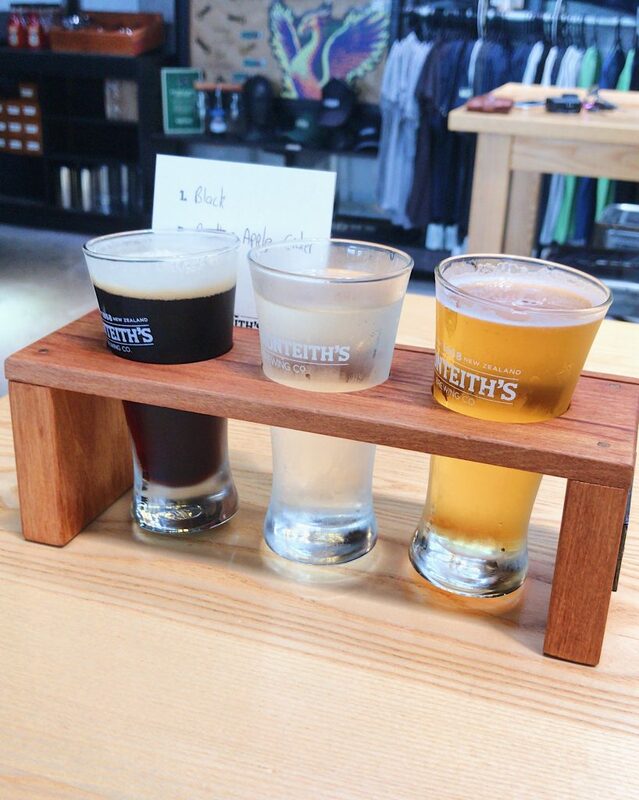 A flight of three tasters (thirds, approx 190ml) costs $15 and a flight of five costs $25. You can have beers and ciders or only beers as your choices for the tray of three. The flight of five is pre-selected, but you might be able to change some if you ask nicely! Don’t spend too long savouring your beers if you are getting the 14:05 back to Christchurch – I had to down one of my tasters since I overestimated how much time I had and then power walk back to the station! Staying in Greymouth longer than an hour? Go on one of the brewery tours! Running for 1 hour and including a 45-minute tour of the brewery, a 15-minute beer tasting and pouring lesson and a flight of three tasters, this is a great way to find out more about the largest brewery on the West Coast. Tours start at 11:30 am, 3 pm, 4:30 pm and 6 pm and cost only $25! 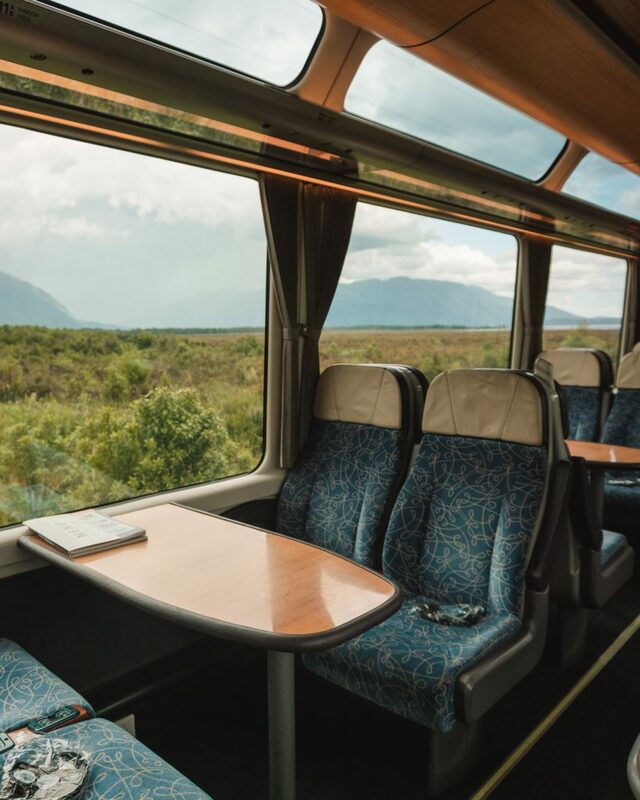 If you aren’t planning on getting the train back to Christchurch that day, you can travel onwards to places like Franz Josef, Fox Glacier, Hokitika and Lake Mahinapua. 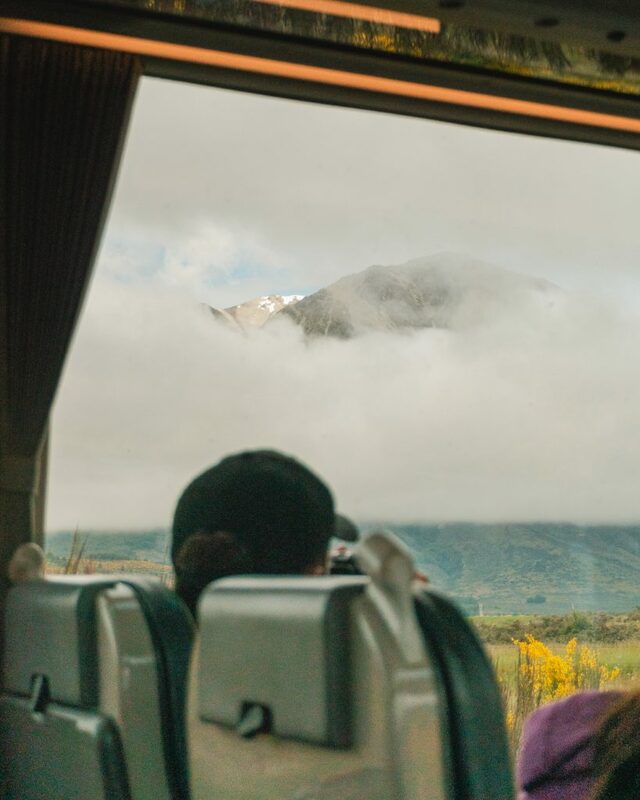 InterCity offers bus transfers from Greymouth to Franz Josef ($51), Fox Glacier ($55) and Hokitika ($28) as well as northbound services to Westport ($26) and Nelson ($60). 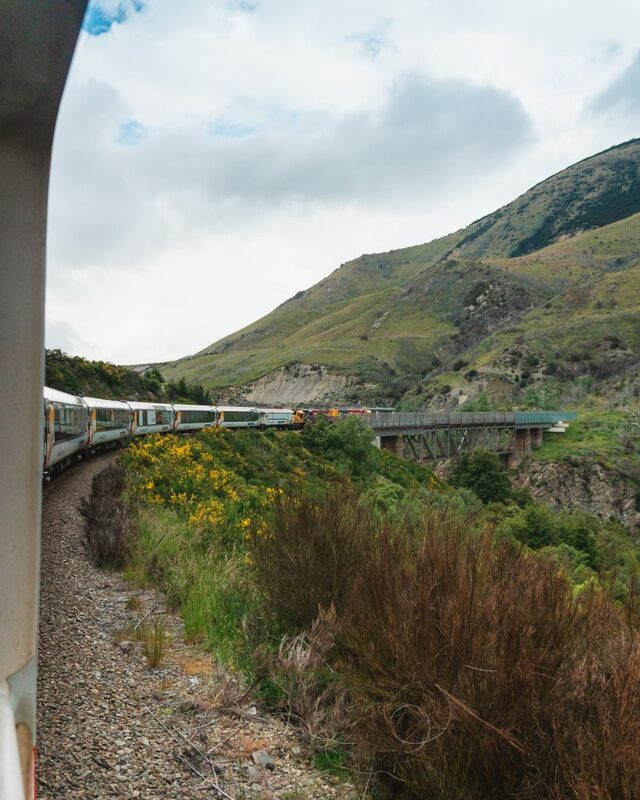 Here’s a quick cheat sheet to the TranzAlpine journey! These are my ‘must see’ parts of the journey, although you will probably (like me) end up glued to your window or the observation car and photographing every second of this amazing journey! I also preferred the journey back from Greymouth to Christchurch, and not just because I knew where to expect the best scenery! There were fewer people on the train than in the outbound direction (most people don’t only do a day trip and you get quite a few groups embarking and disembarking at Arthur’s Pass) and you get softer light at places like Arthur’s Pass, Otira and Moana due to it being slightly later in the afternoon! The biggest thing I preferred on the way back was the location of the observation car – on the way out the observation car was located directly behind the engine whereas on the way back it was sandwiched between coach E and the pushing locomotive. This meant that you could get some great pictures of the train curving around the bends in front of you! The TranzAlpine only has one class of travel (standard) and the seats are comfortable and roomy. You have both ‘airline-style’ pairs and tables with four seats, two facing two. All the airline-style seats face the direction of travel (they rotate them for the return journey) and the windows are really big, perfect for staring out at the beautiful scenery as you chuff past. The seats all have power outlets in case you get a little too snap-happy with your phone or camera and run out of battery. There are also audio commentary guides available in both English and Mandarin. My favourite part (well, aside from the observation car) was the Café Carriage. They offer a wide selection of food and drinks, including hot meals like macaroni cheese, vegetable lasagne, and lamb shanks with mashed potato and gravy. You can also purchase a variety of sandwiches, wraps and salads as well as cakes, biscuits, ice cream and confectionary. They also have full coffee making facilities (and have soy milk too!) and are fully licensed, stocking beers, wines and spirits. They also serve drinks like soda, fruit juice and smoothies. All of the meals are handily marked with which allergens they contain – it was super simple for me to check if something contained dairy (lactose intolerance problems) rather than having to go through a full ingredients list or flip through an allergen menu. There are toilets located in each carriage, as well as an accessible bathroom in the Café Carriage. The trip that I did is the TranzAlpine day trip – Christchurch to Greymouth and back in a day. Your day starts early arriving at Christchurch railway station at 07:55 and catching the 08:15 train. Some people decide to drive to Springfield and start and end their trip there, but this doesn’t actually make any difference to the price you’ll pay for the train so I would personally just go by train the entire way. If you haven’t grabbed breakfast before embarking on the train journey, head to the Café Carriage and pick up a bowl of muesli, a breakfast wrap or a smoothie. 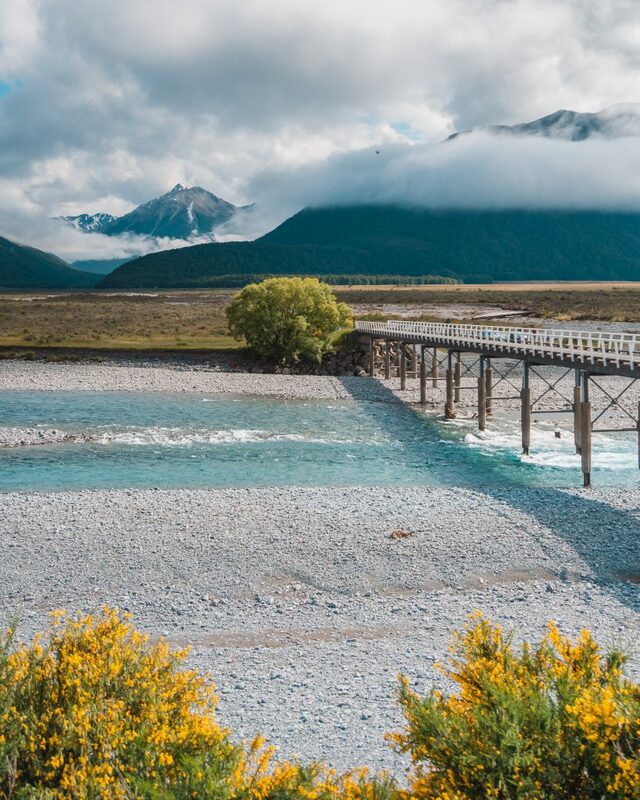 Head up to the observation car for beautiful scenic parts such as the Craigieburn Straight, crossing the Waimakariri River and arriving at Arthur’s Pass. 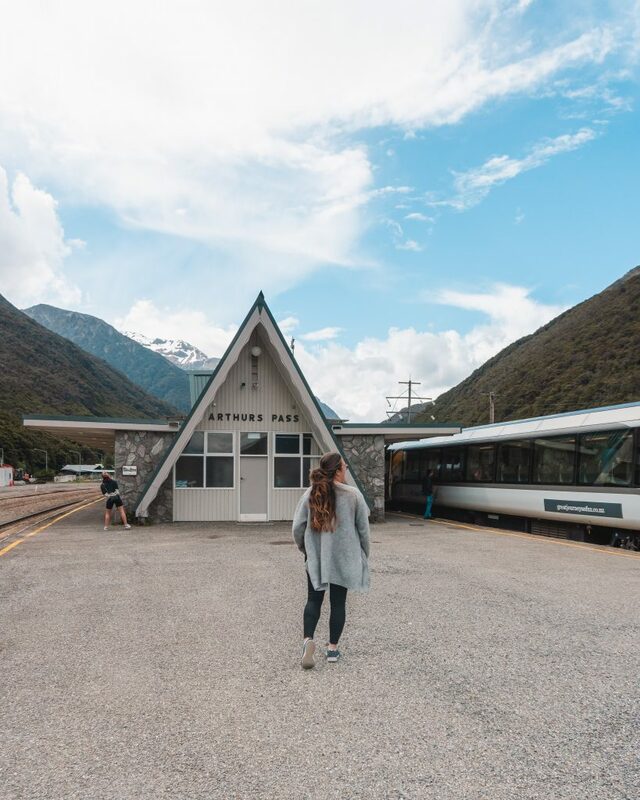 When you reach Arthur’s Pass, you can step off the train for 5-10 minutes to stretch your legs, snap a few photos and some fresh air before getting back on the train for the second half of the journey to Greymouth. 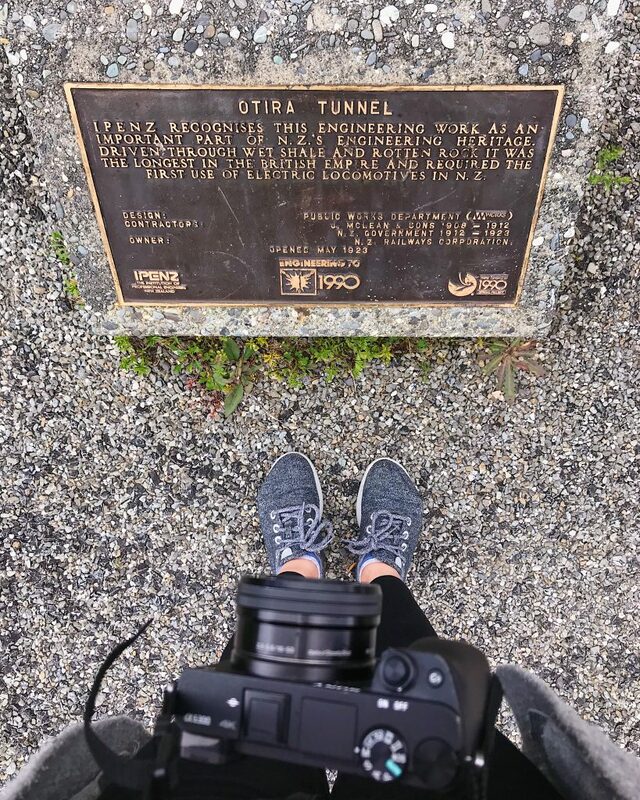 Straight after leaving Arthur’s Pass, you will travel through the Otira Tunnel. Everyone has to be in their seats and the observation car is closed for this part of the journey until you exit the other side of the tunnel. 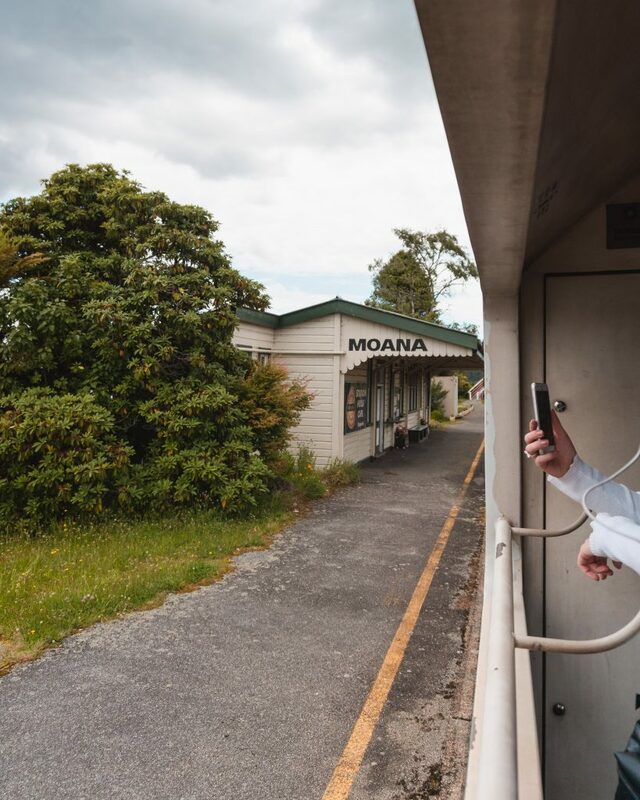 I would definitely recommend being in the observation car after leaving the tunnel and for passing Lake Brunner and Moana – the views are really impressive! Head back to the station for the departing train at 14:05 – aim to be there around 13:45 (although no one had an issue when I got there at 13:55 instead). Hop back on the train and settle into your seat for the return journey back to Christchurch! On the return journey, make the most of the stretch from Greymouth to Arthur’s Pass! A lot of people will have disembarked at Arthur’s Pass for the day so you can get some excellent shots from the observation car without having to put up with lots of other people next to you (particularly tour groups!). The most popular routes appear to be Christchurch to Arthur’s Pass and back or Christchurch to Greymouth one-way, before returning to Christchurch via Franz Josef, Wanaka and Queenstown. Once again you can hop off for a few minutes at Arthur’s Pass and you’ll see a few people embark the train for the journey back to Christchurch. 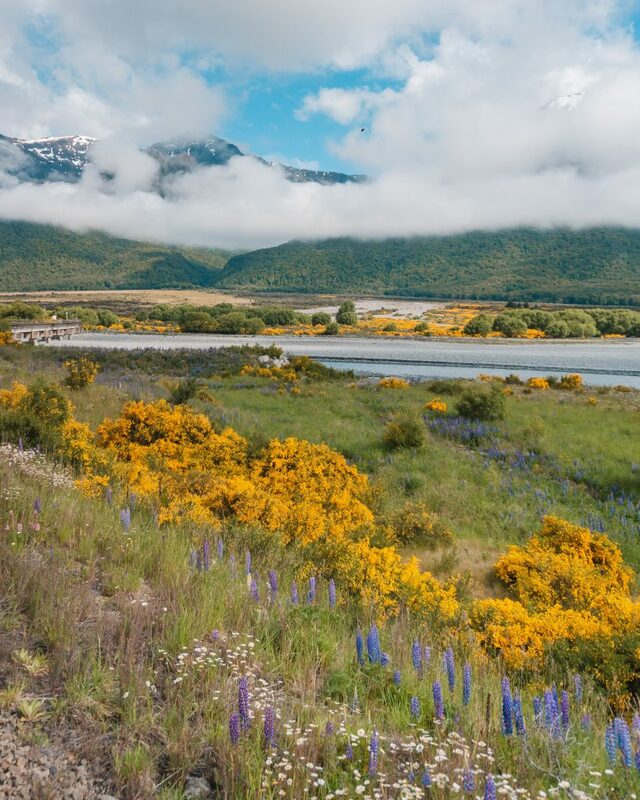 Enjoy the views as you cross the Waimakariri River and pass Craigieburn and Cass before you stop at Springfield. After Springfield you can settle back in your seat for the hour crossing the Canterbury Plains back to Christchurch, arriving at the station just after 18:30. I opted to walk back from the station instead of taking a taxi this time. 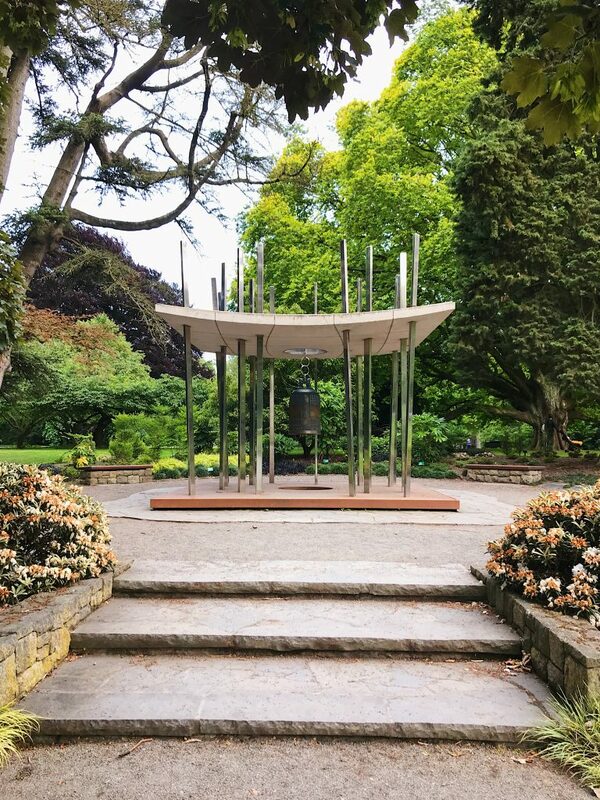 I walked to the Christchurch Botanic Gardens as I would be leaving early the next day for Kaikoura and knew this would be my only chance to explore the gardens. It’s a great way to walk back to the city from the station! An alternative to going all the way to Greymouth and only having an hour to explore would be to leave the train and get back on 3-4 hours later at Moana. This gives you a chance to explore Lake Brunner, Brunner Mine Historic Area and the town of Moana. 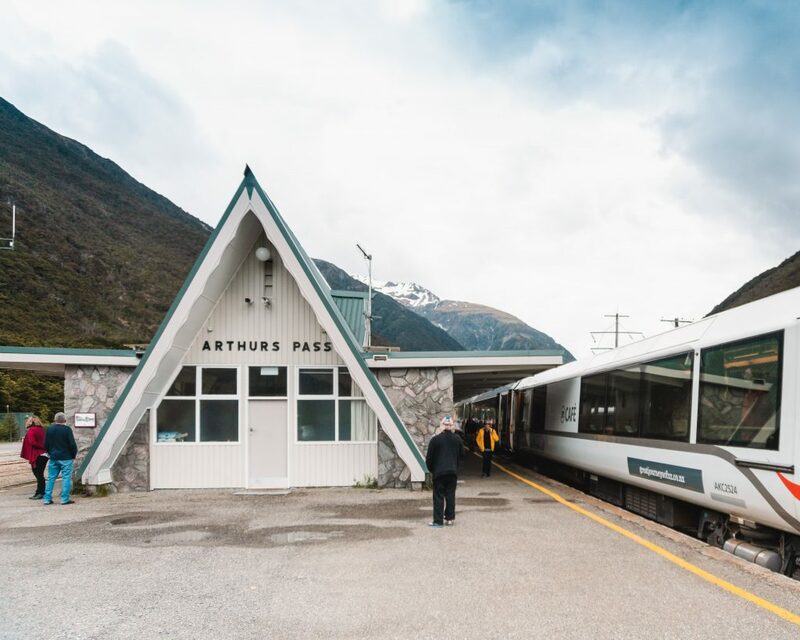 Christchurch to Arthur’s Pass costs $139 (Flexi) or $159 (Flexi Plus) one-way and gives you the ability to disembark the train at Arthur’s Pass and explore the national park from 10:51 until 16:27. This gives you around 5 hours to really explore the national park, perfect for doing one of the short day walks, such as those to Devil’s Punchbowl Waterfall (1-hour return), the Arthur’s Pass Walk (3.5-hours return) or the short Millennium Walk (15-minutes return). 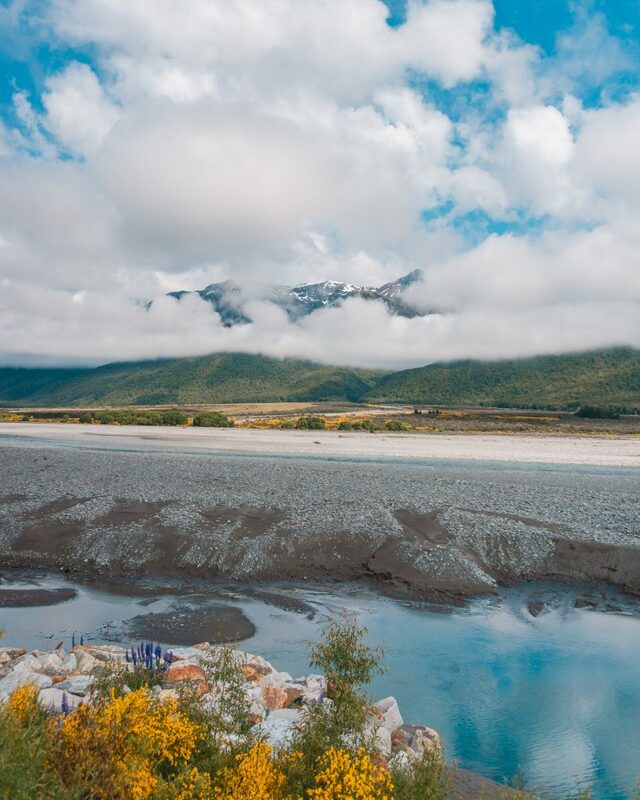 You get to experience the scenic parts of the journey such as views of Mount Torlesse, Craigieburn Straight and the Waimakariri River as well as the spectacular scenery in Arthur’s Pass National Park. 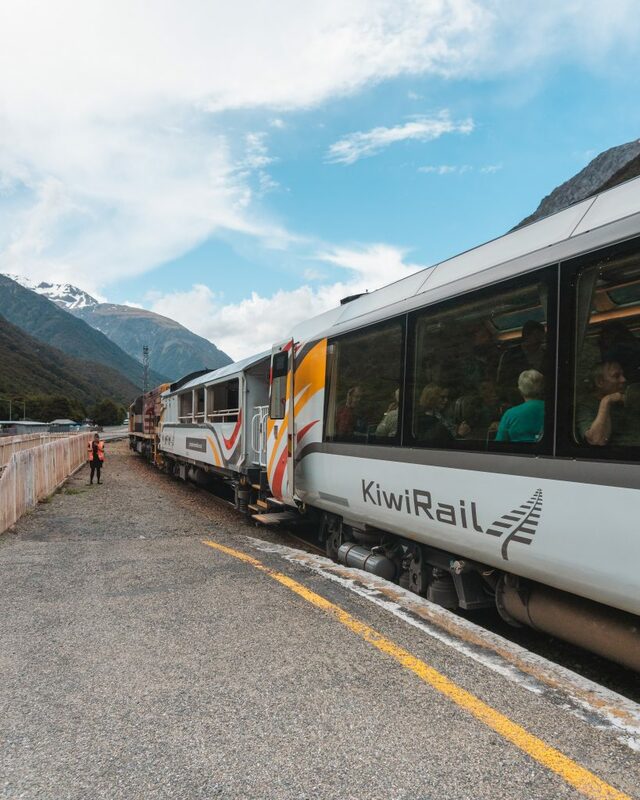 This is probably the best option for people wanting to experience both the TranzAlpine train while still getting the walking/hiking experience in Arthur’s Pass National Park all in one day. 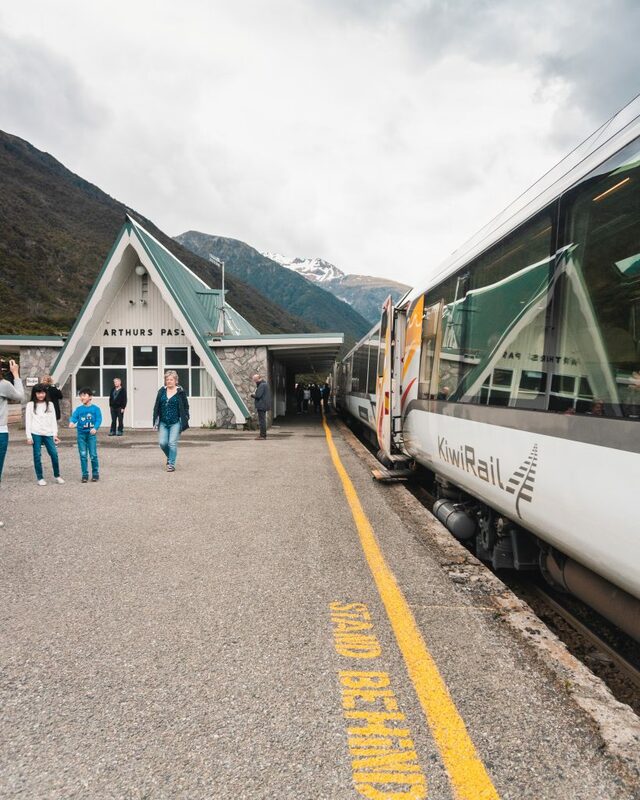 One of the more popular ways of doing the TranzAlpine (instead of there and back in a day) is a one-way from Christchurch to Greymouth and then from Greymouth travelling onwards to Franz Josef. This is an option with many bus companies (e.g. 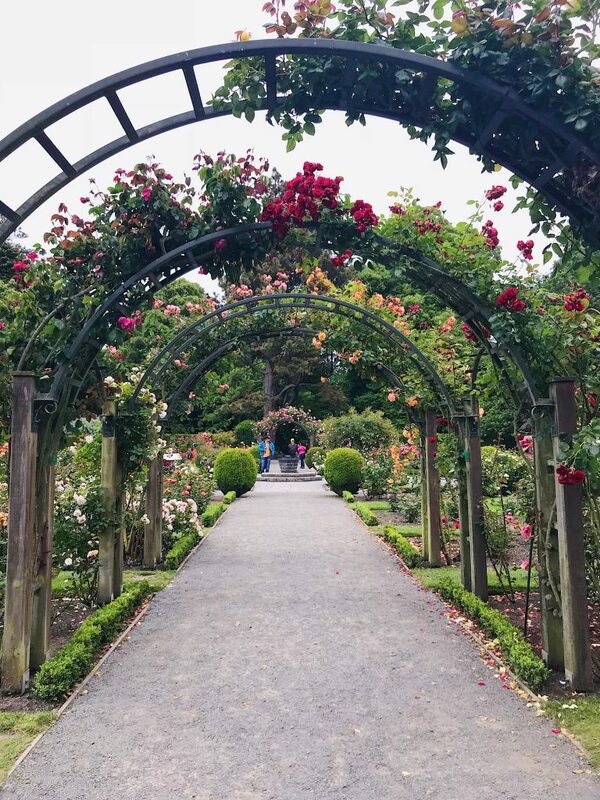 Greymouth – Franz Josef, Franz Josef – Fox Glacier, Fox Glacier – Wanaka, Wanaka – Queenstown, Queenstown – Lake Tekapo, Lake Tekapo – Christchurch) including Kiwi Experience. 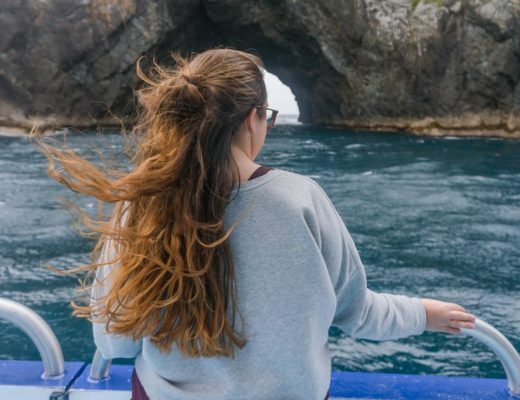 Start your trip in Christchurch and take the TranzAlpine to Greymouth and then explore the South Island with Kiwi Experience before heading up to the North Island and ending in Auckland! 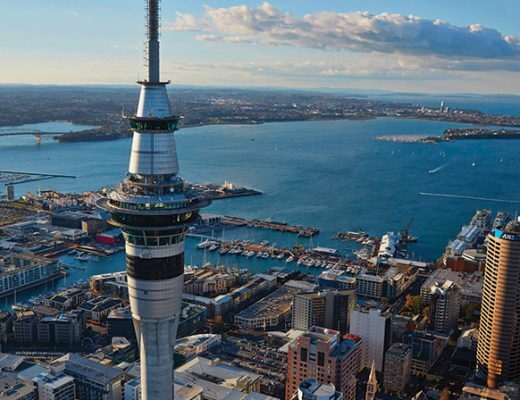 Get 5% off all passes (including promo prices) with code KIWIEX_FLYAWAY! All ticket types on the TranzAlpine include unlimited stopovers. 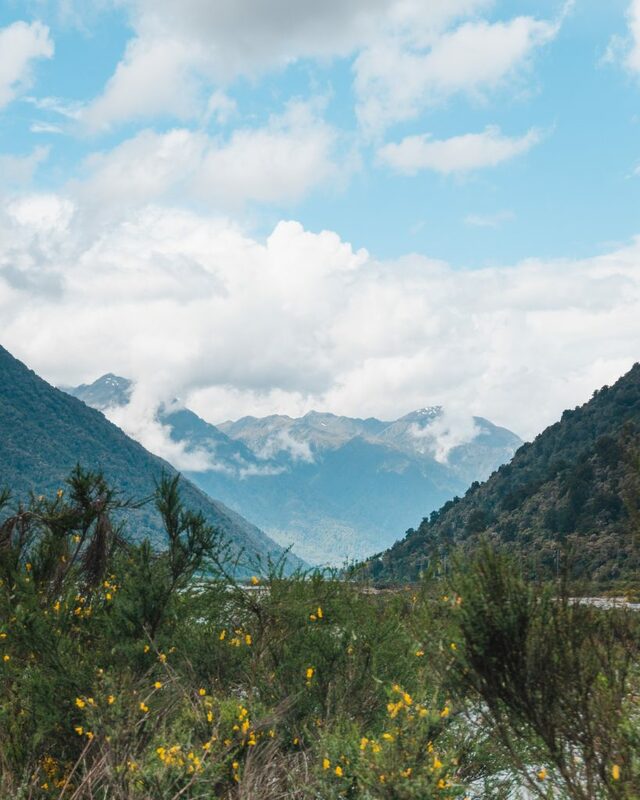 This means that on your journey from Christchurch to Greymouth you can choose to stop off in Arthur’s Pass and stay there overnight before continuing in the same direction the next day. 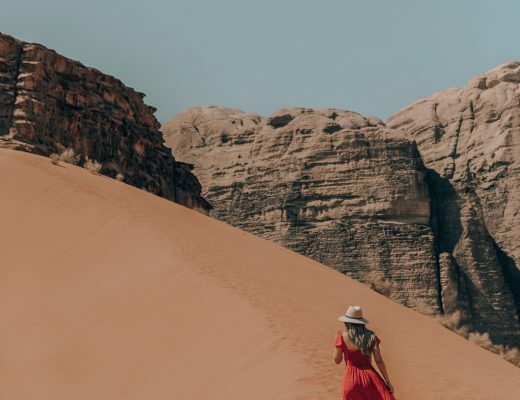 This is a great option if you have more time and would like to do some of the walks, hikes or mountain biking or even mountaineering or skiing. Make sure to book your accommodation in advance as there are limited places to stay and they get booked out quickly, especially in the summer months! Another option is to do the TranzAlpine the other direction, from Greymouth to Christchurch. This can be done if you’ve already travelled from Christchurch to Greymouth via Queenstown, Wanaka and Franz Josef to get back to Christchurch or as a return journey over two days (Greymouth – Christchurch, leaving 14:05 and arriving at 18:31, and returning Christchurch – Greymouth at 08:15 and arriving at 13:05). 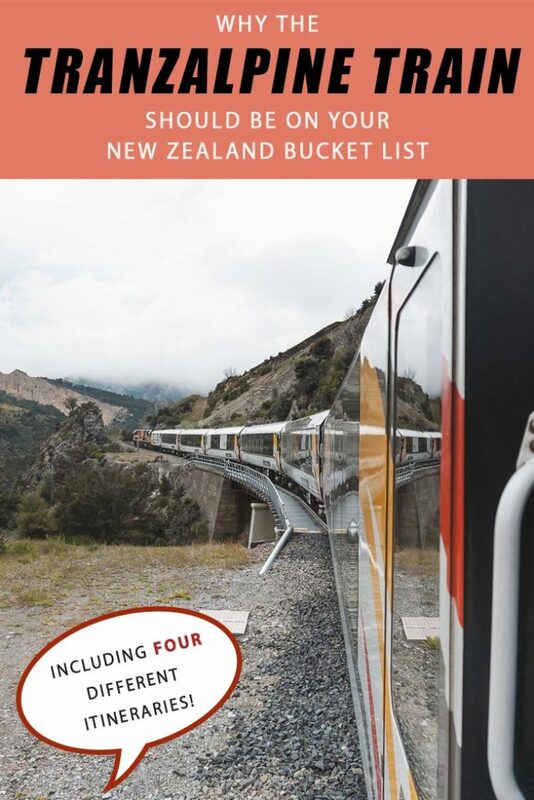 Whether you do the TranzAlpine day trip or do the journey one-way or make stopovers on the way, this is definitely one of the most scenic rail journeys in the world! From plains to mountains and rivers to gorges, there is a multitude of different sceneries on the journey and you won’t want to miss a minute. 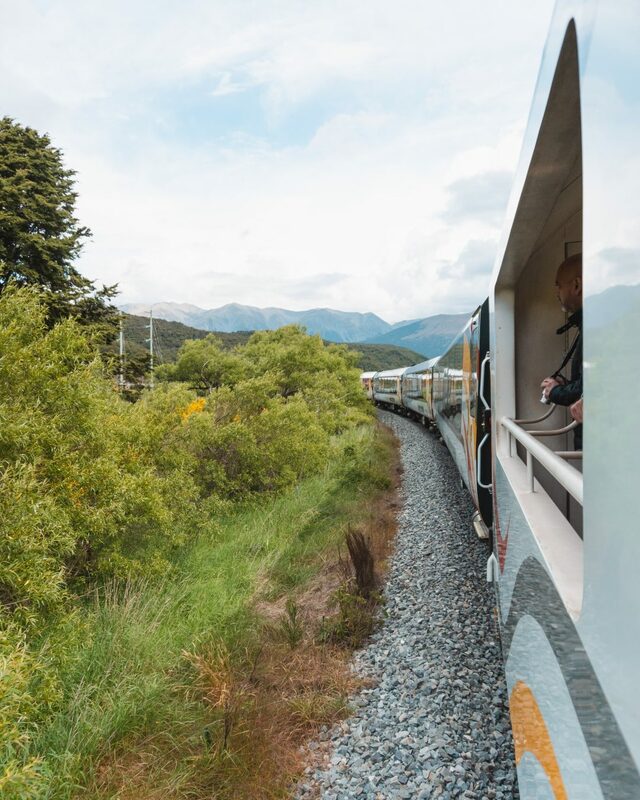 Book your ticket on the TranzAlpine here. 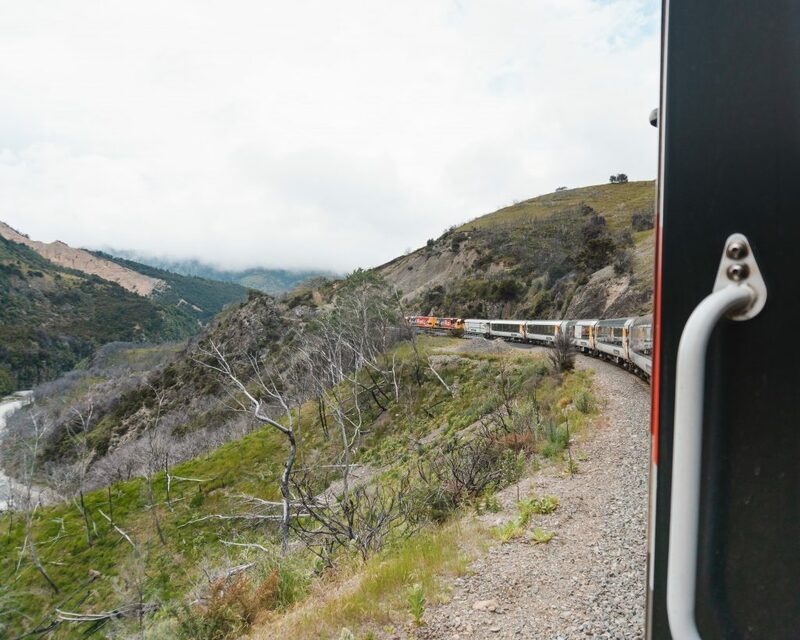 Have you done the TranzAlpine journey? Let me know in the comments if I’ve inspired you to do it or if you’ve already done this amazing train trip! Don’t forget to pin this article if you enjoyed it! What an incredible train journey! Definitely adding it to my NZ bucket list!